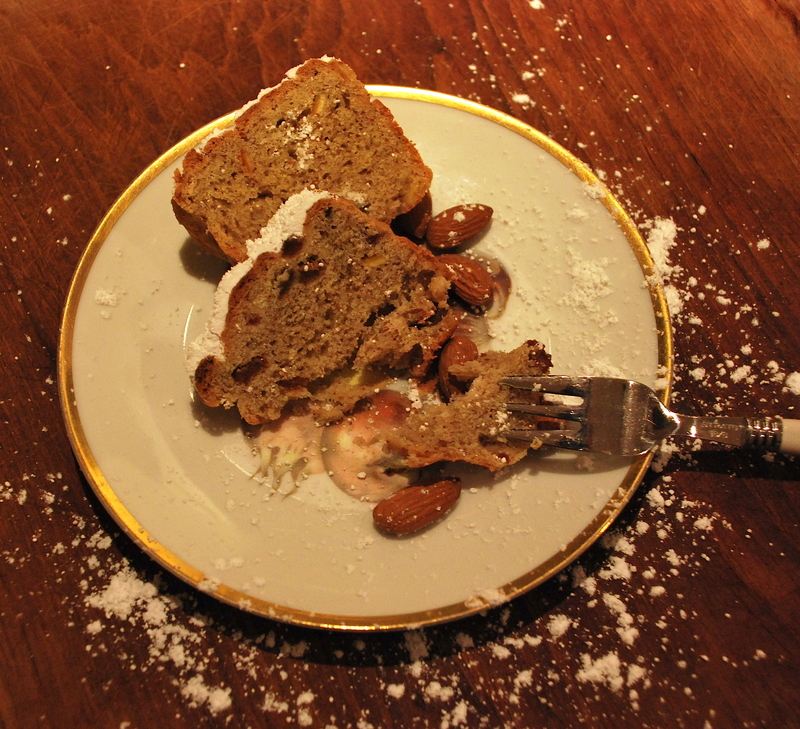 ‘Christstollen’ – traditional German Christmas cake | vegänsch. Caution – huge portion! 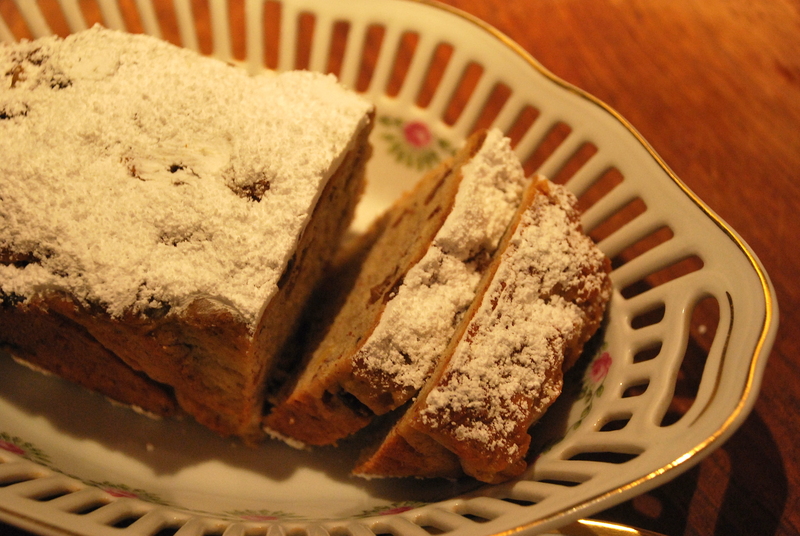 The following recipe makes about 4 Stollen (each ~ 12 “/30 cm long). It’s common to make several ones, but if you wanna do less, just divide the amounts. 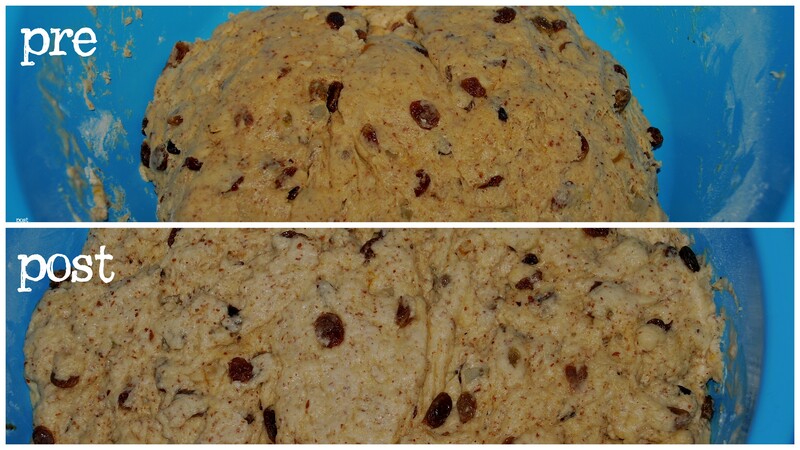 One Stollen can be cut in about 12 pieces. 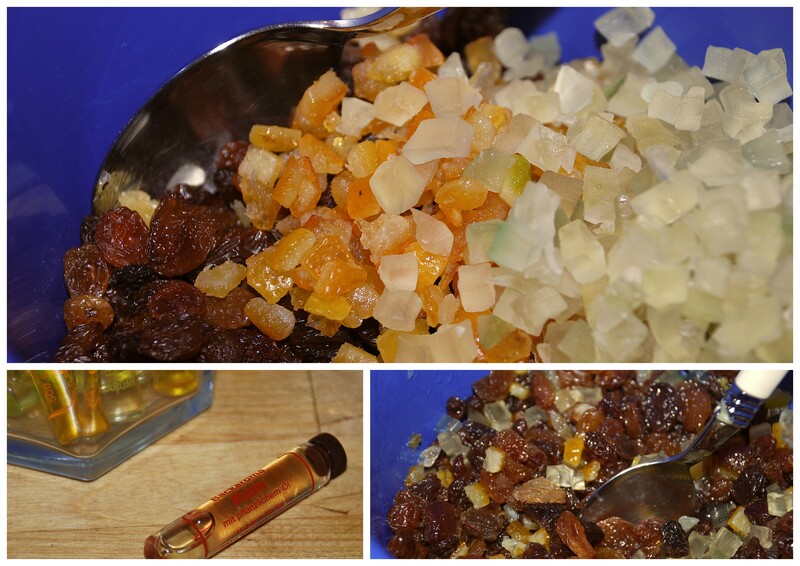 Start with soaking the raisins and candied peel in some hot water plus rum essence. If you wanna use real rum to soak, feel free! Cover the bowl and set aside. Pour the flour in a big bowl (mine has a diameter of about 40 cm/16 “), stir with an egg whisk to smooth, and add almonds and lemon peel powder. Stir again. 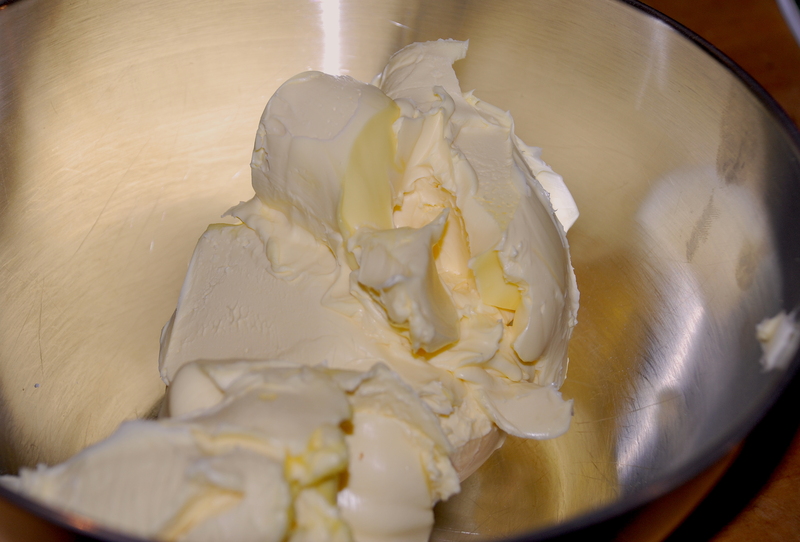 Add the rest of the milk and the sugar, the very creamy margarine (if it’s not soft enough, put it in the microwave for a bit – but be careful, it shouldn’t be liquid! 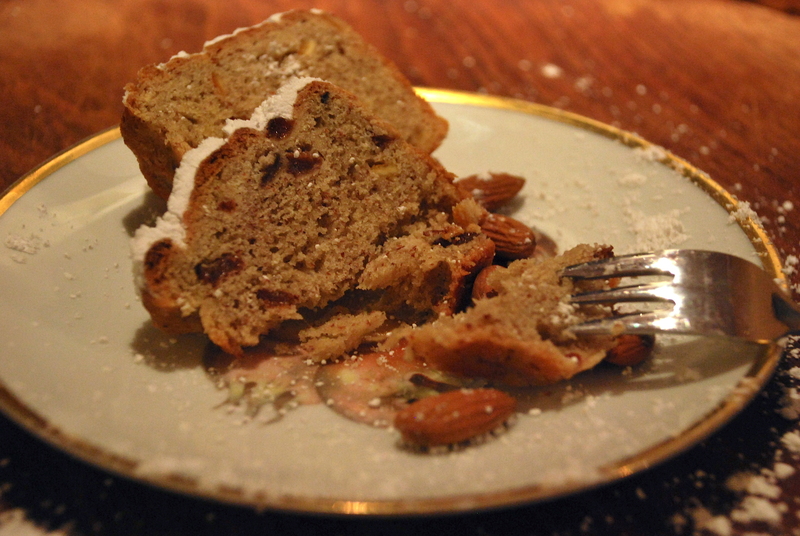 ), bitter almond essence, all the spices, sugar beet molasses, the soaked raisins and the candied peel. Now, use your hands to form a nice dough ball. Let again sit for 1.5 to 2 hours at a warm place. The size of the dough should be much bigger now. 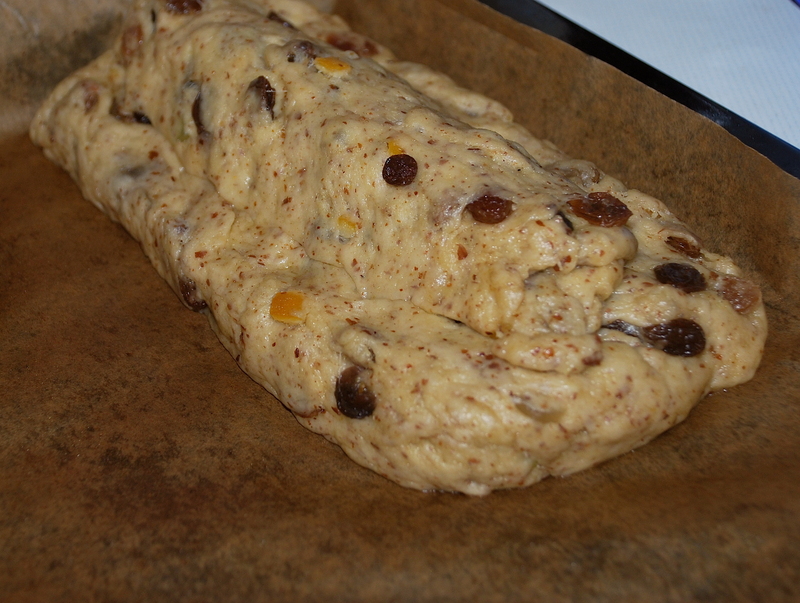 Preheat your oven to 175° C/ 350° F. The traditional shape of a Stollen looks like on the picture (no casserole needed), but you can also put it into your preferred casseroles. 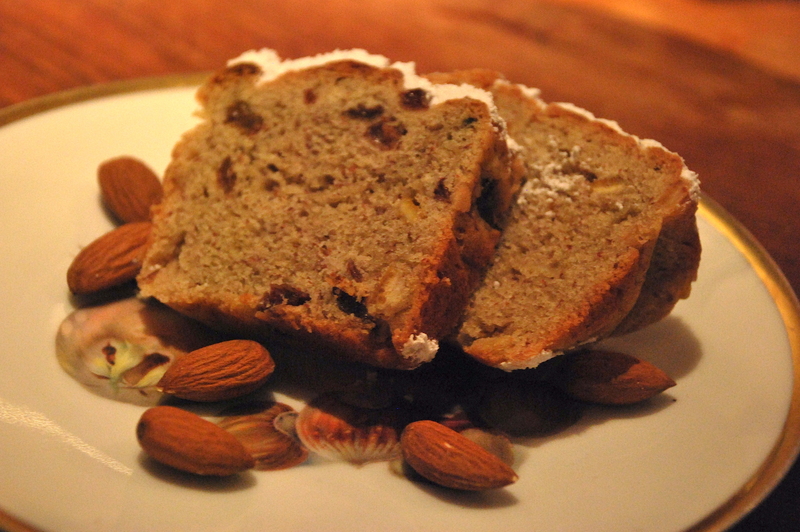 Bake for at least 50 minutes, depending on the size and shape of your Stollen. Check with a wooden stick to see when it’s done. Let cool down, preferably over night. 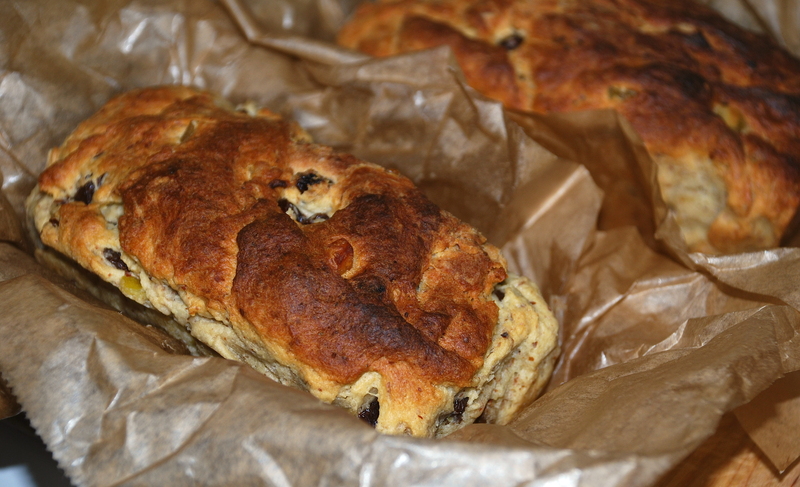 To make the best out of your Stollen, wrap it up loosely in aluminium foil, put in a plastic bag (don’t close it tightly, some air should be able to get in) and store in a cool place for at least one week, so the flavours evolve. I usually put it outside on the balcony, but when it starts freezing, better put it in the fridge. The best place is a cool basement though. 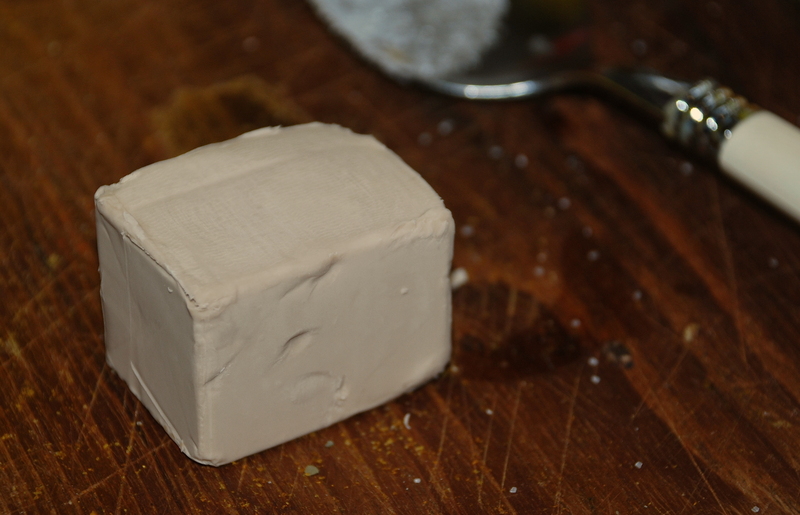 To decorate it, sprinkle loads of icing sugar on top. And after all the preparing, baking & waiting, it’s time for some good piece of Christstollen : ) I wish you all a very happy Christmas time, lots of presents and of course lots of yummy food! Das ist ja lieb, danke für das Kompliment :) Hoffe, bald mal wieder mehr neue Posts zu schreiben. Liebe Grüße an dich!